At BPA we strive to ensure all children develop a lifelong love for sport, physical activity and aim to lead healthy lifestyles. We do this by delivering a varied, active and engaging curriculum plan which exposes all children to a range of sport. We aim to not only deliver PE to our students, but we also endeavour to ensure children benefit from key aspects of sport, such as enhancing their leadership skills, developing teamwork, creating confidence and self-belief, whilst instilling within them a passion and desire to win, but at the same time building resilience when competitions and games don’t go the way they hoped. We pride ourselves on a ‘can do’ attitude and emphasis that what matters is taking part. Not only do we teach high quality lessons, that stretch all children to reach their full potential, but children are also able to take part in a range of opportunities offered to them for example Sports Leaders, Sport Councils, clubs and competitions. Through these opportunities, children are able to grow holistically, developing key skills, as well as improving their own practical abilities, fitness and health, whilst harnessing within them their desire to take part in sport. In a modern day where children’s lives are consumed by the role of technology, we are increasingly aware of the powerful impact that physical activity can have both on their minds and bodies. Throughout their education at BPA the year groups will be subject to a wide and varied diet of sport. These can be seen listed below. Sport is a fantastic vehicle in which to develop children through, creating opportunities for praise and encouragement, whilst at the same time influencing their values and beliefs. Swimming in Bournemouth Park Academy forms part of the P.E. Curriculum from Year 2 to Year 6. 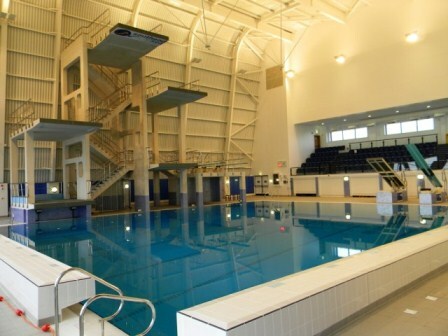 Swimming lessons take place every week at Garon Tennis and Leisure Centre, Southend, and last 30 minutes. Children will have ten scheduled lessons this academic year. Children are transported to swimming by the school mini bus and are accompanied by members of staff within that year group. We aim to make swimming an enjoyable and challenging physical experience for the children increasing their water confidence. All children are encouraged to swim regardless of ability or disability. The lessons will be given by a qualified swimming instructor from Garon. Please ensure all children bring their own swimming kit, towel and swimming cap. We do have a small amount of spare kit but only have limited sizes available. Please note the swimming dates below.